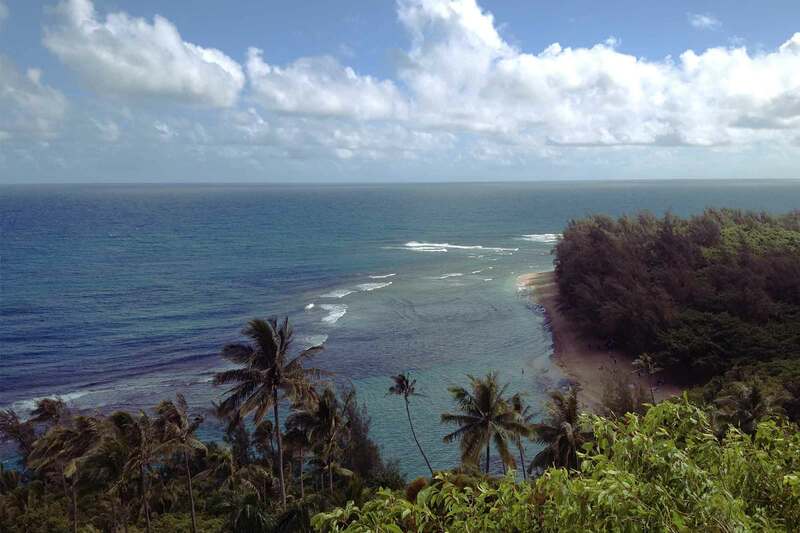 Geographically, Kaua’i is an enigma. Surrounded by the crystal-blue water of the Pacific, white-sandy beaches juxtapose red-dirt deserts, as beautiful waterfalls cascade amongst lush green jungles and volcanically formed mountains in the distance. 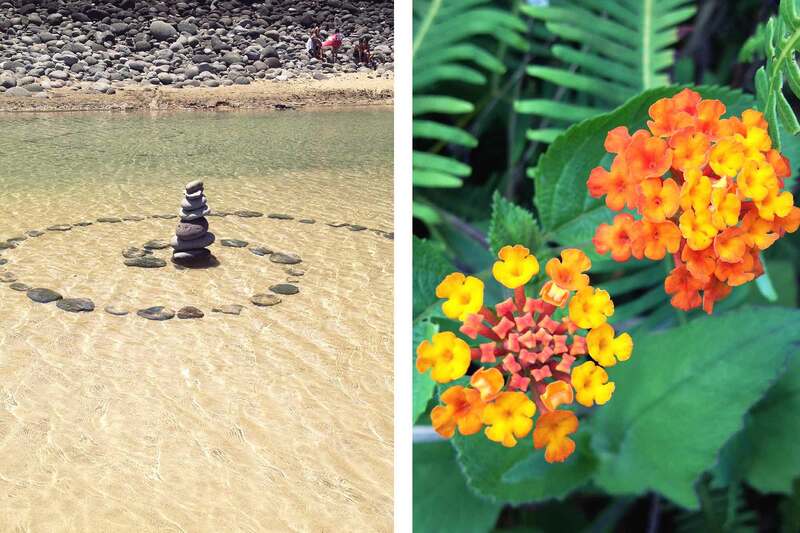 Exploring this vibrant island to its fullest could take years, but there is a place where tourist and local alike, can experience a wide variety of Kauai’s challenging landscapes, contrasting climates, and breathtaking scenery: The Kalalau Trail. The drive to the trailhead is downright pleasant as you pass along gorgeous beaches, stilted houses and even caves! But this is merely a tease of what’s in store for those who hike the Kalalau Trail. 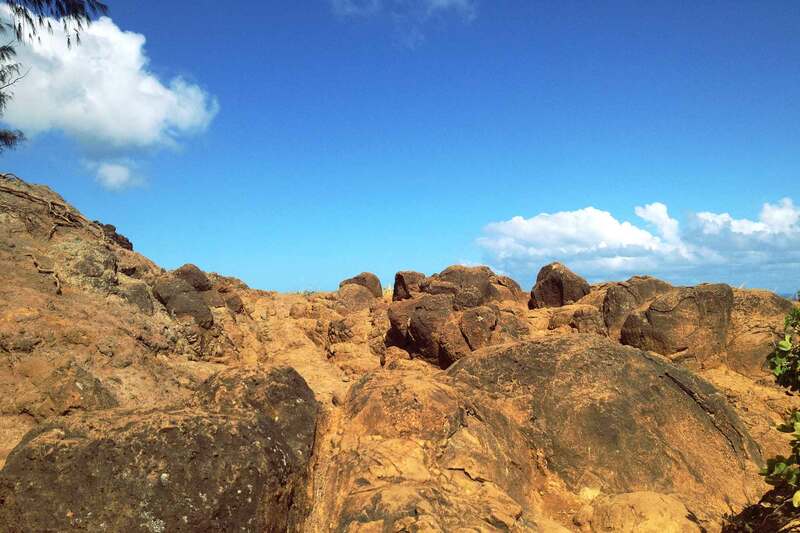 It begins at Ke’e beach, where hikers can take their last “civilized” bathroom break and fill up their water bottles. A slight gradient gradually becomes a not-so-slight gradient, as the first of many breathtaking views presents itself. ‍‍As the trail winds along, high above the ocean below, the grand view of spectacular mountains and waterfalls unfolds! Hiking the full length of the Kalalau trail requires you to get a permit, and you will have to spend the night in order to do so. Below are some packing suggestions that will help you “smooth” it out there. You shouldn’t be carrying an excess of 18lbs. A lightweight backpack that fits in your luggage. Due to the climate, you’ll want to opt for a fast-drying fleece blanket instead of a bulky sleeping bag. Trail running sneakers or hiking boots, walking poles, a pair of flip-flops or crocs for the beach and two pairs of wool socks (Darn Tough and SmartWool are good brands). Keep your feet dry while you sleep to avoid blistering or athlete’s foot. A convenient but useful water filter like the LifeStraw or Sawyer Mini-Filter. There are long stretches of dry terrain, so be sure to plan your water consumption accordingly. A cooking stove like the MSR PocketRocket or other lightweight alternatives, a Bic lighter or waterproof matches, one container to cook/boil water in, and one spork. Biodegradable toilet paper and a handkerchief. 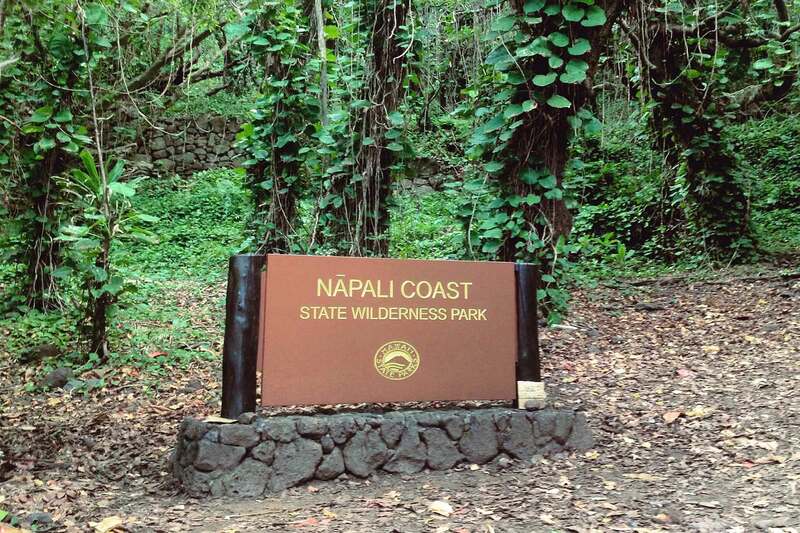 *There are restrooms at the trailhead and at Hanakapi’ai beach. After that, you’re digging a cat hole. A reliable tent or a lightweight tarp or hammock system with mosquito net. Sunscreen, a light long sleeve travel shirt (nylon is best) and a headlamp for after dark. Last but not least, be sure to bring a camera with extra batteries! This is a pack-in, pack-out park. Plan to haul out your trash. Dehydrated meals, instant oatmeal, tuna, granola bars, peanut butter, trail mix or dried fruit. 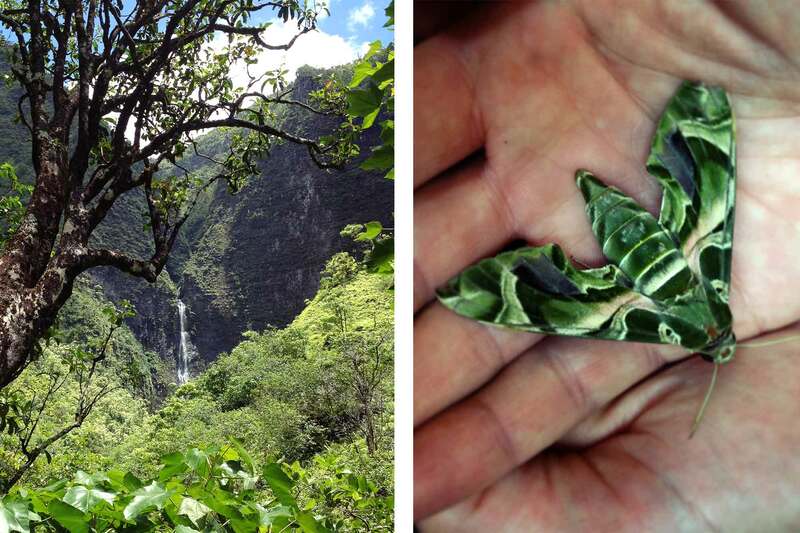 Make sure to try the Ohi’a ‘ai (Mountain Apples) along the way, as long as they are still on the tree and ripe. Be sure to wash with clean water before eating. Although many inexperienced hikers complete this trail, it is important to be prepared and learn how to stay safe on the trail. This is a strenuous hike that can be very dangerous if you ignore the rules. As with every hike, know the route before you go. Make sure others know about your plans and when to expect your return. Be aware of where you step since the trails can become very muddy and unstable during the rainy season. Use caution when crossing rivers, as one slip can easily cause injury. There are many steep drops along the trail, especially at narrow points. Use common sense and allow approaching hikers to go first to avoid an unnecessary risk of falling. 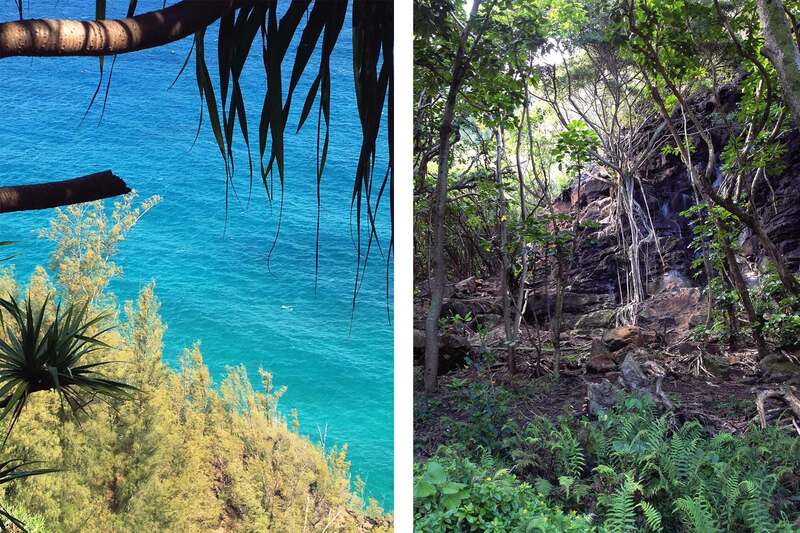 Although the Kalalau Trail only has a single entrance and exit, there is still the possibility of getting lost. Make sure you have a map and a compass in the event that you lose your bearings. If you take a break at Hanakapi’ai or Kalalau Beach, be aware of the deadly currents and bathe only in the tidepools. The most dangerous part of this hike is dehydration. Make sure you bring enough water with you to last the entire length of the trail or be prepared to filter water on the trail. Carry no less than 2 liters at a time.